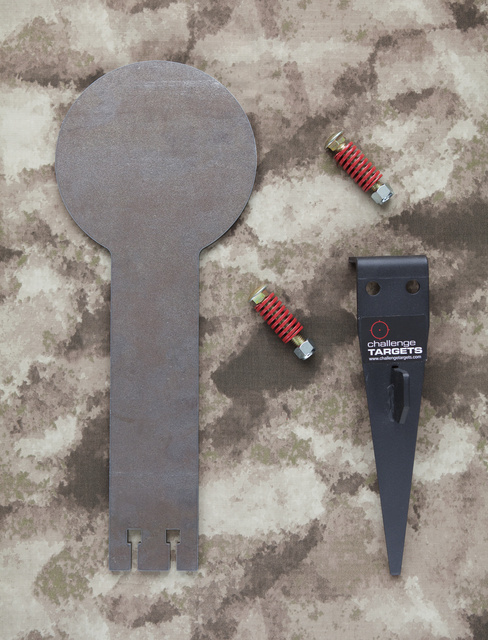 My friend Brad at Challenge Targets is giving away one of his neatest targets, a stake clanger. As the picture below shows, it’s very simple and robust. Takes about a minute to assemble, and only a few seconds to install at the range. This entry was posted in training and tagged steel, target. Bookmark the permalink.